At their best, books are not just books but experiences that summon us back into a distant memory of ourselves and our parents. Noy Holland has accomplished this with Bird, released in November by Counterpoint Press. Holland demands that we expand what we know of fiction, and expand ourselves and our compassion for a character as she goes back and back and back to a man who threatens to devour her. Bird does not fit into the categories that exist for contemporary fiction. It is a poetic feat, both spare and florid, an imagistic and wistful elegy of dead mothers, children, and loves. Bird’s dreamscape is vast but teeming, anachronistic but topical, as seductive as it is frustrating. It, like a poem, contains nuance that keeps the form and the writer’s expression intrinsic and tangled until it’s difficult to tell what, exactly, we’re looking at. The book transcended my expectations at some point, probably as soon as I stopped trying to pin it down and let it float away until it took up the negative space usually occupied by plot. That Bird exists is enough. That we get to read it is a tiny miracle. The title character, Bird, lives twin lives. The first life takes place in a single day during which Bird gets her son on the school bus, nurses her newborn daughter, and makes breakfast for her husband, all the while interrupted by phone calls from her friend and alter-ego, Suzie, an unmarried and sexually-adventurous friend who stands in as version of Bird herself, disembodied—merely a voice in the phone. Suzie is not the only interruption in Bird’s post-partum haze; Bird is equally visited by memories of their mutual ex-boyfriend, Mickey. Bird recalls her drug-fueled life and passions with Mickey, and this backstory provides the motor that keeps the book humming, as she reels us in with pathos, longing, and danger. The novel opens with a memory of a sadomasochistic game that demonstrates the power plays in which Mickey and Bird spend their days together: Mickey ties Bird up on the floor and leaves her all day before returning to her with gourmet food and feeding her, still bound by ropes, and then ravishing her. They shoot heroin together, treat each other cruelly, love each other obsessively, and experience tragedies of their own making, and of their undoing: Mickey falls down an elevator shaft, their landlord hangs their dog in revenge for missed rent checks, their unborn baby dies after they name her. While her own mother is already no more than vapor, Bird replaces her own sense of being orphaned with trying to save her lover from the same fate. She mothers her own children in the present day story, as well, and her dead girl-baby with Mickey, a phantom infant, a small ghost-soul like Bird’s absent mother. Finally, Bird herself is mothered by her own small, nameless son in the present day: “’Mama? You will get old and bigger next and next you will go back down,’ he said. ‘I will be as big as Papa. And you will be my baby. You will be just small, like this. I will carry you all around like this, like a baby, holding you tight in my hands.’” The boy is freed from the limitations of the rest of the male characters, including Mickey’s destructive tendencies and Bird’s husband’s benign absence during the day in which the present day story, and Bird’s memories, take place. Her tiny son’s love is what redeems her from her memories of Mickey and of the holes, losses, and absences that puncture her history. Holland has written three collections of short stories and has an impressive-sounding list of small press publications, award nominations, and grants. Her prose is full of poetic wonder. 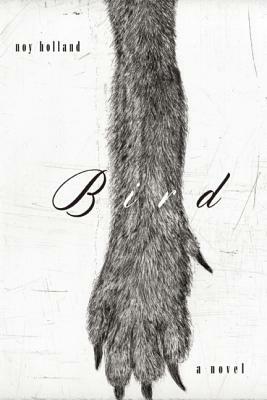 Bird is her first novel, although it, too, began as a short story. Holland keeps the present day blurry and untethered; the undercurrents of the past, and Bird’s ambivalence about Mickey make the novel begin energetically. Bird simultaneously romanticizes and rejects her former life by talking to Suzie of Mickey’s recent travels and lovers, but ultimately Bird desperately hopes her son does not grow up to be a man like Mickey, nor that her daughter love a man like him. Bird herself is trapped in the house while outside, fall in New England is on the verge of turning. Her memories are her only escape from her recovery from childbirth. Holland’s lyricism and unmoored plot drag the second half of the book, however, as the characters spend too much time feeling and not quite enough doing. This writer is in love with language, but in some instances to the detriment of other formal elements. Still, the book is fearless in its eroticism, its depiction of how tragedy shapes us and then abandons us, and how first loves hang as shadows in the doorways of our tidy, grownup lives. Then again, so do the wise voices of our mothers. Bird’s dead mother keeps her on this side of the cliff she walks dangerously near: “If you are truly mine in spirit, then you must prevail,” her mother said. “There is a place you cannot get yourself back from and this is where I am.” Bird is a stark, breathtaking dream, a maddening haze, and the reader is never far from the terrible knowledge that comes from reading a book about a love doomed to end, and doomed to dislodge the present. Ellen O'Connell, originally from California, now lives in New England. Her work has appeared in Prairie Schooner, Salon, The Nashville Review, Redivider, and other places. She holds an MFA in nonfiction writing from Sarah Lawrence College, has been nominated for two Pushcart Awards, and won the Virginia Faulkner Award for Excellence in Writing. She currently teaches writing in Portsmouth, New Hampshire, and is working on a memoir.